This weekend I have relocated to my old home town, Trondheim. In the coming few months I’m going to fill an associate professor position, temporarily, due to a set of complicated circumstances that I’ll not go into here. Having left the Center for History of Hermetic Philosophy and Related Currents in Amsterdam behind, I’ll now be found at the newly restructured Department of Philosophy and Religious Studies at the Norwegian University of Science and Technology (NTNU). 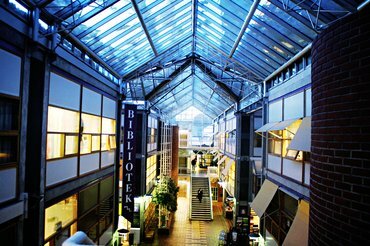 My office and all teaching happens at campus Dragvoll, which looks pretty much like a giant greenhouse, in a rural and woodlands area on the outskirts of town. Certainly a change of scenery from Amsterdam’s overcrowded streets! It’s been a slow day at work. I might as well finish it off (and inaugurate the weekend) with sharing some simple reflections that are relevant for this blog: What the heck does “heterodox” mean, anyway?